A lot of big companies think today's gamers are averse to challenge and don't enjoy trying to figure things out by themselves. The surprise success of the famously difficult action RPG Dark Souls showed that this belief isn't necessarily true, as gamers of all ages lined up for the privilege of dying over and over again. Flush from that success, developer From Software is bringing out Dark Souls II in early March, giving gamers another chance to be heartlessly slain by foes both artificially intelligent and human. For the uninitiated, the Souls games are action RPGs that take place in large open worlds, allowing the player to choose from a variety of character classes and pitting that player against foes that require careful observation and strategy to defeat. They also have a unique multiplayer system that allows players to either help each other or invade each other’s worlds. This game's story remains largely a mystery, and that's exactly how fans would want it. The setting is apparently linked to that of Dark Souls, but is different. We know that the player character is once again cursed and seeking a cure. We also know that the concept of time plays an important role in the game, but revealing any more about either of these themes would spoil the surprise. Dark Souls II hopes to be a more accessible title for newcomers, making some of its systems such as Covenants easier to understand. The very beginning of the game takes a bit of time to help the player become acquainted with basic Souls mechanics. The game's background story will also be a bit more obvious, so that more players will have a larger view of what's going on. Don't mistake accessibility for ease, however. The game will have even more challenging and visceral combat than its predecessor. Strategies that players overused in Dark Souls (like dodge-rolling through sword attacks) have been accounted for and will no longer be easy or even possible to pull off. Enemy AI is being tweaked so that foes will respond to a wider range of player behavior, so you'll have to get up pretty early in the morning to fool that angry troll. In a callback to From's earlier title Demon's Souls, previous enemies can re-appear in Dark Phantom form, forcing the player to face a more difficult version of their old selves. 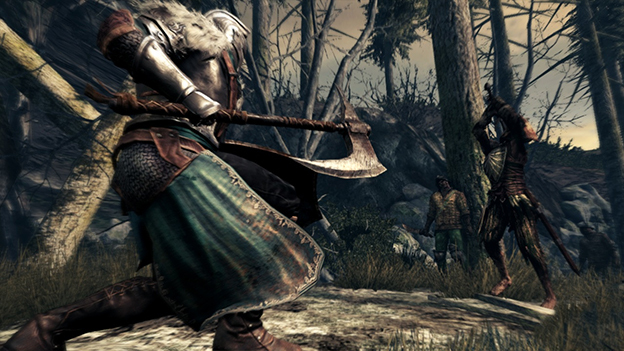 The biggest changes to Dark Souls II's systems come from the game's increased focus on the multiplayer experience. There will be dedicated servers, putting players on a more even footing with each other. Combat has been slowed down a bit and made more tactical so that players can parry each other even if there's some network lag involved. Backstabs, a major source of cheap multiplayer kills in Dark Souls, now require a great deal more skill to execute. Since all these combat changes affect the single-player game as well, even veterans of the first game will have some re-learning to do when they first start things up. Once becoming involved in the Dark Souls II multiplayer experience, gamers will see that many things have changed. 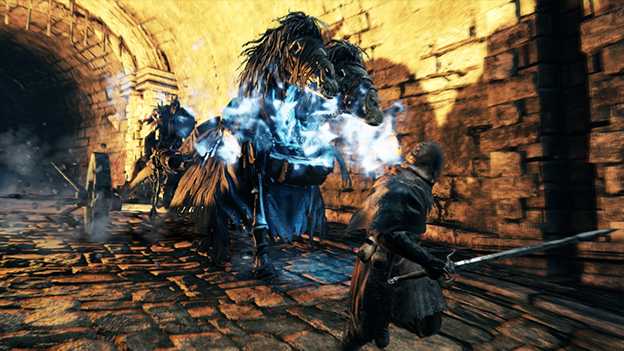 Players can be invaded at nearly any time, so becoming Hollowed (an undead form that offered protection in Dark Souls) is no longer a safe way to avoid ambushes. In fact, dying repeatedly in Hollowed form will reduce the player's maximum health bar, requiring a switch back to human form for restoration. Dying too much as a Hollowed will also cause the player character to become uglier, just to rub it in. Players who wish to help others will find their experience changed somewhat. The more experienced a player is compared to the player being helped, the less time they'll be able to spend in that other player's world. It is, however, easier for players to leave (hopefully helpful) messages in blood stains for others to find. It's a simple menu option that doesn't require a consumable item anymore. Covenants (multiplayer-oriented factions that players can join) will be more helpful and play a larger role in Dark Souls II. Of particular note is the Covenant of the Blue, which provides the player with a summoned Blue Phantom ally whenever their world is invaded by a hostile Black Phantom player. These Blue Phantoms have to come from somewhere, so a different covenant is available to players who wish to sign up for that newbie-protection duty. All of these changes sound like they'll make the multiplayer experience easier to understand and get into than it was in Dark Souls. 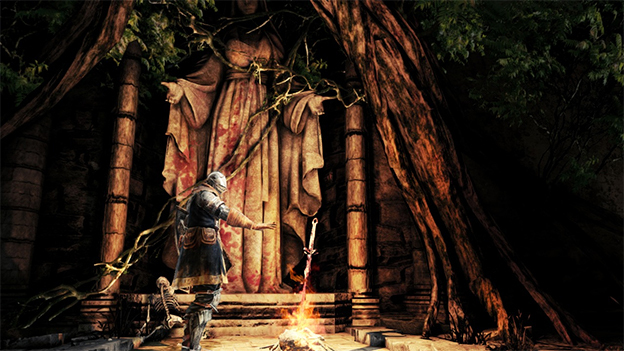 With the success of Dark Souls, From Software acquired the resources to improve the audiovisuals in Dark Souls II. There's been a nice graphical improvement overall, and the lighting and character animations have received particular attention. Players will be able to make use of torches, which of course means that From has hidden plenty of nasty traps in dark places. Dark Souls II looks like it's taking the formula that made Dark Souls popular, refining it and making it easier to get into, then hitting players with greater challenges than ever before. With an improved online system, a prettier coat of paint, new nasties to overcome, and the addition of the theme of time to the existing themes of solitude and suffering, From Software might have another hit on its hands. Here's to a company being willing to go its own way, bucking current gaming trends and giving challenge-seeking gamers something to sink their teeth into. Dare yourself to engage against intense gameplay in a vast world powered by an all new engine that propels graphics and sound forward like never before. A wide range of threats will prey on human senses & phobias - auditory hallucinations, vertigo, acrophobia, etc. More intricate customization options provide weapons and armor tailored to player style. Updated multiplayer system enables improved online interaction to bring forward cooperative and competitive play. 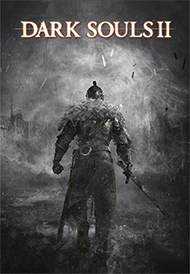 Dark Souls II features fluid motion-capture animations, upgraded combat system, a vastly expanded suite of characters, deeper customization options, new weapons, armor abilities, and balanced player progression system.